Provide comfort for the family of Lorene Taylor with a meaningful gesture of sympathy. Lorene Wright-Taylor was the youngest of two children born in Milledgevill, GA on Sept. 4, 1942 to the late Louise Trawick-Thorpe and Oscar Wright. She was promoted to glory on Monday April 1, 2019. Mother Taylor was united in holy matrimony to George Taylor on Sept. 13, 1958. They blessed with five children: Nadine Taylor, Debra Payne, George Taylor Jr. (deceased), Daniel (Anna) Taylor and Delores Taylor. 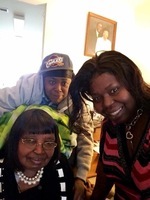 She also had one sister, Sarah Williams and Mary Junior Tunner. 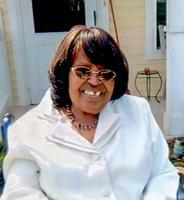 She was a faithful member of Mays Chapel, now known as Faith Community Church. To send flowers in memory of Lorene Taylor, please visit our Heartfelt Sympathies Store. Provide comfort for the family of Lorene Taylor by sending flowers.